When I was little, I used to love watching the Crocodile Hunter, Steve Irwin. Even since then, I’ve been fascinated by crocodiles, especially saltwater crocodiles. They are the largest crocodiles and reptiles in the world, measuring up to 7 metres long. Smaller saltwater crocodiles feed on fish, amphibians, crustaceans, birds, small mammals and small reptiles, while the largest specimens will eat almost any animal, including dingoes, wallabies, kangaroos, deer, buffaloes and even humans. In 2011 one was even reported to have caught and eaten a tiger in India. In fact, the only animal within it’s range that it hasn’t been recorded eating is the Asian elephant. They have the strongest bite in the animal kingdom, with very powerful jaws that can crush the skull of a fully grown cow. Saltwater crocodiles are very caring mothers. They lay 40-60 eggs at a time and protect their nests from predators. As with many reptiles, the temperature of the eggs determines whether the babies are males or females, with lower temperatures producing more females and higher temperatures producing more males. Sometimes, the mothers will also carry their newly born hatchlings to the water for safety. They have the largest range of any crocodilian, and are found in Sri Lanka, India, northern Australia, south-east Asia and even on some Pacific Islands. 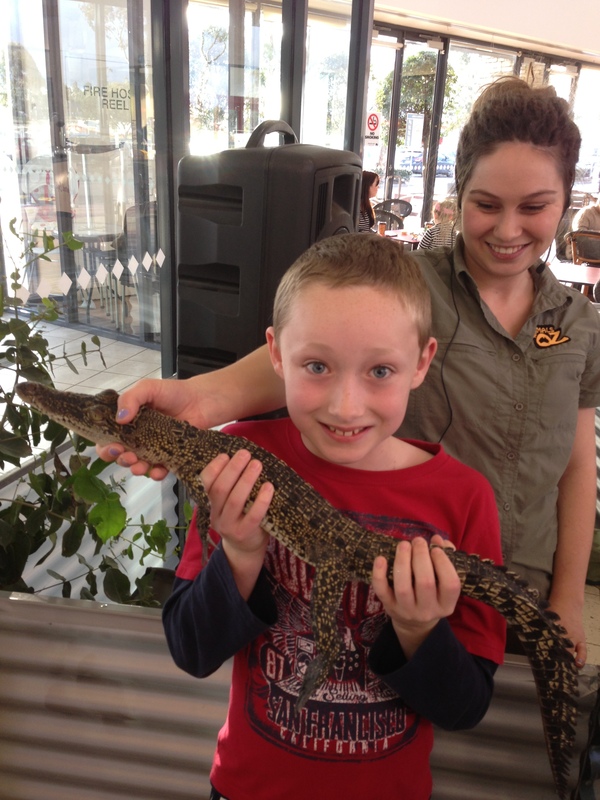 Are there any other interesting facts that you would like to share about saltwater crocodiles? I really liked your blog, saltwater crocs are my favorite reptile. I saw a documentary and some croc experts caught a 20 foot saltwater croc and named him La Long. If you haven’t seen it I would suggest you do it is very interesting. I would like to read more of your blogs in the future. Like you, I love reptiles.